Our ratings are designed to reflect the value for money each superannuation fund offers to end investors. The best funds in our view provide the greatest potential to maximise retirement savings in a well serviced, secure environment. Since the inception of superannuation in Australia, the industry has continued to innovate, unlock new sources of value, and work to improve retirement outcomes for members. We believe it is important to recognise those funds that are taking a leading role in creating a better superannuation system for everyone. Each year, SuperRatings recognises the achievements of individual super funds across a range of categories, with the overall Fund of the Year Award presented to the fund that offers the best value proposition to its members. 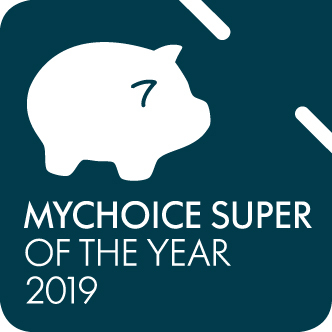 SuperRatings undertakes a comprehensive analysis of 113 MySuper offerings covering in excess of $475 billion in superannuation savings on behalf of 12 million member accounts. SuperRatings undertakes a comprehensive analysis of 327 superannuation choice products covering in excess of $920 billion in superannuation savings on behalf of 19 million member accounts. SuperRatings undertakes a comprehensive analysis of 182 pension fund products covering in excess of $248 billion in retirement savings on behalf of 940,000 members. SuperRatings has applied its unique value-for-money assessment currently used in Australia to the New Zealand KiwiSaver market by assessing a range of factors beyond investment performance and fees, providing a far broader assessment of schemes than is evident in the market currently. Our Infinity Awards recognise Australian superannuation funds leading the industry in sustainable behaviour, as well as those with a genuine commitment to responsible investment principles. SuperRatings’ awards recognise the very best of the best within Australia’s superannuation industry. We examine each fund’s value proposition, from investment performance to fees to member servicing, to determine which funds are truly delivering for their members. Along with the coveted Fund of the Year Award, SuperRatings also recognises those funds that are contributing to the success of the superannuation system through innovation, social responsibility, and a focus on the needs of particular sectors. Awarded to the fund with the best value end-to-end product offering. Awarded to the fund with the offering that is best tailored to its industry sector. Awarded to the fund that has provided the best value for money default offering. Awarded to the fund who offers the best value for money to engaged members during the accumulation phase. Awarded to the fund with the best value for money pension offering. Awarded to the fund that has most improved its value proposition to members. Awarded to the fastest growing fund in the industry. Typically a leader in terms of product positioning, promotion and distribution strategies. Awarded to the fund that adds the most value to members through innovative new products and services. Awarded to the fund most committed to addressing its environmental and ethical responsibilities.